The Professionals Network has supported our practice in identifying potential clients that have an identified need within their business to improve or refine their management of health and safety. As a result of the referrals from the Network, we have secured the following pieces of work: £5m Construction project in Liverpool city centre with a consultancy value of £16,000 over a yearlong project. This single project has led to the commission of a further two projects for the same client with a combined build value of £38m and a consultancy value of £80,000 over a two-year cycle. A second client who was initially referred to complete an audit on their existing health and safety management system (value £3,000) has gone on to commission a further secured service of £6,000 per annum for competent person. A third client within the construction industry has just signed an agreement for two services offered by our consultancy business with a combined total of £20,000 per annum. I would highly recommend the Professionals Network to business professionals who are seeking highly qualified leads. James and his team have always placed speed of information and quality of service at the top of their business model, which allows us to focus on winning work from pre-qualified leads. Following an introduction from Professionals UK, I have been mentoring an entrepreneurial business owner who runs 2 complementary businesses. We have been developing a more formal business plan for a rapidly growing business, considering operating synergies and potential hiring opportunities and developing business terms for potential substantial supply contracts. The relationship is ongoing. I am so pleased that my membership of Professionals UK has been so worthwhile, as I have been approached by some great Companies interested in working with me! But it is especially rewarding to now work with my best client to date, which came to me through Cheshire Professionals and Professionals UK. They have taken out my ‘retainer services’ and are a great and growing creative Company, where I can really add value on a monthly basis. Not only through the retainer services but also by creating and helping with various improvements and projects which range from creating bespoke Contracts and comprehensive Company Handbook, through to creating and implementing their first appraisal system and reward structure … right to L & D Training and development work! I thoroughly enjoy working with them on a monthly basis and together we are making a real difference to the success of the Company and growing their talent and employee engagement, even though they only have less than 20 employees they are really embracing just what good experienced HR Consultation services can provide to their ‘bottom line’! I have been a member with Professionals UK for the past few months. In this time I've been able to connect with several different businesses throughout the country. It's enabled me access to companies I wouldn't have previously worked with and has vastly broadened my network. I use the service preferences on a daily basis to connect with new people, by sending personalised email responses. This has proven vital for me in my business and has been the main way of connecting with new clients and people I can do business with. The new business generated includes a sizeable annual marketing contract on a monthly retainer basis. Further to the enquiry received last week via Professionals UK site I can confirm that i have been appointed to carry out the work. Their search on line took them to your site through its high Google ranking, and through the details on my profile they were able to establish that i had the experience and qualifications relevant to their business needs. As a result of the information available on the site they were happy with the fit with their needs so we could quickly move forward to an initial free no obligation meeting, which i offer to all potential clients to discuss their requirements. I then submitted a written proposal which has been accepted. I will now be working with the directors on a initial 5 day project to assess the business and develop a strategy for its development. There is then the potential for an ongoing relationship as a non executive director to assist with the implementation of the strategy. Clear the site is attracting potential clients in the Manchester area and I look forward to reporting further success stories in near future. My aim was to enhance my business profile and general business awareness to other businesses in a cost effective manner. I joined late January 2018 and to date late March 2018 I am delighted to say I have received many inquiries and have achieved over a 90% conversion rate, within this short time frame providing a very high return and enhanced my business profile. I found James and the team at Professionals UK to be very supportive and knowledgeable in relation to my business needs. They are always on hand to provide any ongoing support/advice that I may require. I highly recommend Professionals UK. Having been a member for seven years now, I appreciate the work that has been referred to me because of my membership of UK Professionals and your recommendations. I have been asked to conduct workplace mediations as well as coaching for clients needing life-coaching and executive coaching. The results and feedback from the clients has all been very positive with some clients continuing beyond the initial programmes. I want to thank you and your team for your help in recommending my services to these clients. I look forward to the future and many more clients coming to me as a result of my membership of Professionals UK! I am pleased to say that Professionals UK worked for me. I gained a client who found my details on Professionals UK. Now I work there one day a week and this has turned out to be my biggest client to date. After losing clients due to the recession Professionals UK helped me fill up my time with work again. I joined Cheshire and Professionals UK and began to steadily build contacts and it provided me with the opportunity to introduce my company to a variety of businesses, and for me to hear about them too. Within less than two months of being active on Professionals UK, we received a service enquiry which, pleasingly, led to a work assignment. Through the site we have established a new client, whom I know I would never have met through any other means, and with whom we hope to have a long-standing relationship. I also hope that our client has been encouraged by the professional service that they have received from us, thanks to choosing this site from which to seek the help that they needed. After over 25 years working with advertising and media people I must say Professionals UK are one of the most user friendly organisations we have worked with. It is a quick easy and very effective way for us to list the range of Sales Training and Management courses that we run in Bury. It reaches out to local companies and generates quality local business. I am happy to recommend. I have been a member of Professionals UK for over five years since it was first started. There was just "Professionals UK" then Cheshire, Chester, Liverpool, Leeds, Lancashire, and London didn\'t exist. I have seen it gradually expand into those other areas of the country plus numbers of members have increased enourmously and there has been other enhancements as well which means finding useful contacts is getting better and better all the time. I have also had my company website redesigned by a member, which is now a vast improvement from my old one. We have found the Professionals UK website to be an essential part of our marketing campaign. The website impressed us with its member client base and has generated results for us in terms of orders and enquiries and gaining new clients via other members of the site and also considerable traffic to the website. James is a very friendly, helpful, knowledgeable hardworking professional who has a great work ethic and provides an excellent service with attention to detail. We have been a member of Professionals UK website now for five years and we would highly recommend the site. We were looking for a company who provided ‘Profiling’ Training for our Company day and Professionals Uk recommended a local training company who delivered exactly what we were after and would certainly use again. Just a quick note to let you know that I am delighted to have recently taken on a new client for a programme of Executive Coaching sessions as a consequence of them finding out about my company, True Progress, through Professionals UK. We have already begun to work together and, as a result, they have started to realise some of their goals and to make significant steps towards achieving their aspiration. I would like to thank you for the referral that i receive from Professionals UK website. I was only on the website a couple of weeks, when I received an enquiry which lead to some business. I was very happy with the service, and would definitely recommend this for other business who are looking for marketing opportunities. - Georgena Clarke, Company Owner. I have recently successfully undertaken a mediation generated through the Professionals UK Website. The business involved was not a member, yet email contact with me was swift and uncomplicated. The mediation took place over a day and involved a workplace dispute where both parties felt their was no hope of a future working relationship. Despite these thoughts by the end of the day both parties had agreed a workable plan for a positive way forward and on evaluation would recommend this process to anyone needing to resolve workplace issues. The business involved stated that they would use Professionals UK again. - Trisha Bannister, Conflict Solutions. Mediation & Counselling Services. I am writing to say how very pleased I am with the service provided by Professionals UK. The Manchester Coaching Academy became a member in January this year and already we have recouped half our investment with enquiries which led to new business. I am also very impressed with the way that everything is followed up and how the team are able to handle any queries with efficiency and professionalism. I would thoroughly recommend Professionals UK for anyone looking to raise their business profile in the Manchester area. Just like to say how pleased I was to receive an enquiry through the website for a client looking for professional pension’s advice. He is about to retire and totally bogged down with his options and getting to grips with all the new rules announced by the government. He agreed to a meeting and I’ve managed to secure the best solution for him and help him to generate the income he needs in retirement. - Michael Clarke, Chartered Financial Planner, True Bearing Chartered, Chorley. Total Fire Management Ltd are now in the 3rd year of membership of Professionals UK and we have more than recovered our outlay in membership from new work with other members. We have gained new clients as far away as Southport as well as in Greater Manchester where we are based, even though we have not as yet truly exploited the potential within the organisation to network with members. We are looking forward to gaining many more clients over the coming months. I write to inform you that I am rather pleased with my membership of Lancashire and Professionals UK. I have been a paid up member for around two months and have already received a number of top quality enquiries via the Professionals UK website. The numerous features and applications available have allowed me to build up a network of around twelve people so far. I have already had a series of face to face meetings and a number of relationships are already developing. When I purchased my membership your representative explained to me that it would be necessary to invest time and effort in order to obtain results. I have followed his guidance and post regular articles and discussion threads on the Professionals UK site. In addition, I have invested time familiarising myself with all the features available and contacted certain members with a view to meeting up to potentially do some work together. Thanks for all your help and assistance. - Grahame R Harwood, Director. Following a number of enquiries through my profile, I was approached by a business owner and set up life assurance for his wife. Thank-you for this opportunity which would not have happened without the exposure created by my presence on Professionals UK. I recently coached a business client who came to me via a friend of his. The friend had seen my Lancashire and Professionals UK profile and passed on my name. We worked successfully for several sessions on both personal and professional matters, exploring work-life balance, future needs and actions to be taken. I have had a very positive experience since joining Liverpool Professionals network. I have already gained two clients directly through the website who made an enquiry based on my profile, met me to talk about how I could help their businesses and then signed up for marketing services with me. The Professionals team \u2013 and John in particular, are friendly, approachable and keen to show me how to make the best of the site and its many features. It has been so successful that I have now renewed my membership for a further year. You can’t say fairer than that! Thank you for providing a great service for my growing accountancy Practice. Within a matter of weeks, I signed up a client which more than covered the cost of the membership. Since joining Professionals UK earlier this year, we have had a number of enquiries regarding our training courses, which has led to business from prospective new clients. We have been happy with the response, and have also made some excellent connections! I have been pleased to take on some valued clients through the Professionals UK service, and have always appreciated your contacting me personally to confirm that any enquiries have reached me successfully. You have also kindly followed up on whether the potential client did indeed proceed to book coaching or training with me. My most recent new client, following an email exchange and telephone conversation with me, came for her first coaching session this week. I have now been a member for three years. 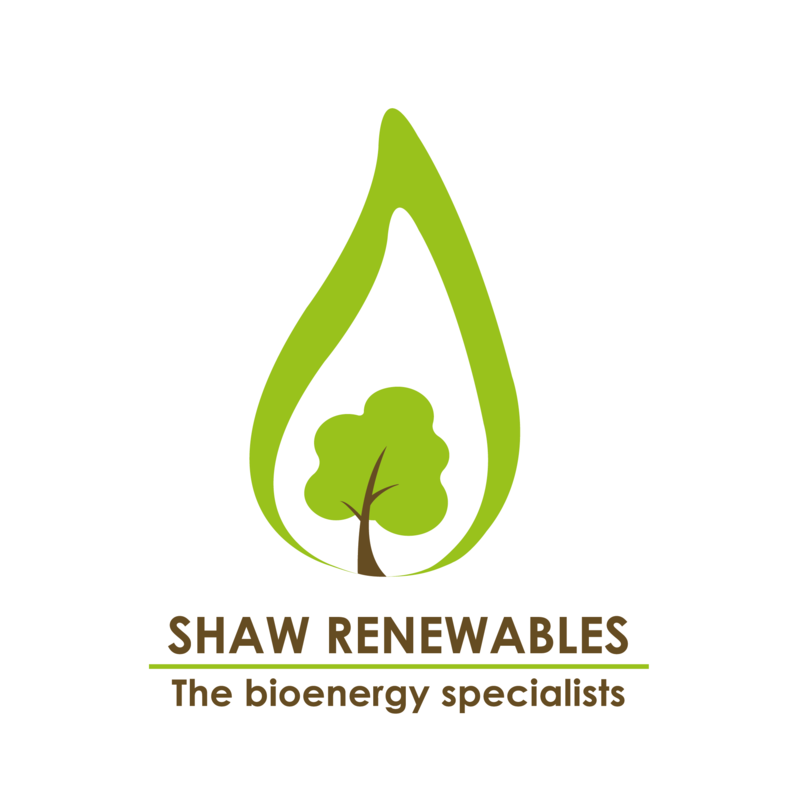 Many thanks for the referral we received relating to the energy assessment. We successfully dealt with the enquiry and are hoping for additional business in the future. - David Moran, Managing Director. I have been a Professionals UK member for only a month, and am very pleased to have received my very first translation assignment from English into French from Professionals UK this week, directly through members viewing my profile. I have 15 years experience as a professional translator and interpreter, and many outstanding testimonials. I specialise in the business, legal, public services, government, medical, environment and development fields, and look forward to assist Professionals UK members with their language needs in French and Italian, and to offer the best possible service. Just to thank you for your services. I signed up with Liverpool and Cheshire Professionals in March of this year, and by the 13 April I had notification of a enquiry within my scope of services, which I am pleased to say came to fruition and the Gentleman who made the enquiry has agreed to become my client after an initial meeting and discussion of requirements. Once again thank you and what a speedy first contact. I joined Professionals UK a week ago, doing all what I was advised to in my initial meeting I met my first new client today, working 1 day a week initially, which could increase as it is a growing business. I have received a lot of support from Professionals UK, and I am hoping to get a few more clients. I am so happy and I am looking forward to working with my new client. Following an enquiry through Lancashire Professionals, we have gained a client from the health and safety sector providing copywriting services for their many editorials published on a regular basis in a variety of magazines. Using the Messaging Service I have started to contact each member in turn introducing myself and offering my services. I have just had my first job from it and I have many more members to get in contact with! It does take time to work through the many catagories, but well worth it in the end I think. - Mike Poloway, Company Owner. Barsan Global Logistics embarked on a new and exciting venture in Manchester at the end of 2017. Whilst we have been established in the UK since 2001 in Coventry and some suppliers were transferrable it was a great help to have so many potential suppliers on one site. We found the site through the web and continue to use it today as our business grows and develops in the North West. I have joined Professionals UK a few months ago and the network has been very beneficial to me. The membership allows me to contact other companies in Manchester area and get inquiries and work assignments. The team is very supportive and informs me on possible jobs leads in Manchester area. Being a small business I appreciate the help and support I get searching for new clients. I’m really pleased with the service provide by the Liverpool Professionals, I have had a few enquiries which have lead to and generated some work designing logos, stationery and websites. I can offer clients the full design package at competitive rates which has proved beneficial to other members of the network. We have had a high number of quality potential health and safety enquiries during our membership so far and have converted one valuable one that is likely to generate at least 5 days of work with a likely ongoing retainer. There are a number of others we are waiting to hear back on still. I recently used Professionals UK to search for a local occupational health care provider. I was impressed with the speed of response I received and the quality of the professionals I was introduced to via the search. Centaur Training Services (North West) Ltd received a fantastic call from a contact through Lancashire and Professionals UK back in July 2014, which has subsequently turned into one of our largest clients. We have now been allocated the full training package for all distribution and retail warehouses throughout the UK and also Europe. Due to the initial success of this package we have now expanded in the surrounding areas and have great pleasure in announcing our recent upgrade to a state of the art training centre based on Centurion Industrial Estate in Leyland, Lancashire. We now have four operational classrooms, recreational facilities, office and conference rooms and car parking for a large number of students and visitors. We have now seen the potential contacts that Professionals UK has to offer so have currently upgraded our membership. We are looking forward as a company to a successful 2015. I’m delighted to advise that within a month of being a member of Chester professionals, Acton Health & Safety fire safety has managed to gain a yearly contract covering health & safety and fire safety for a care home in Chester. I am helping them to bring standards up to meet legislations and give guidance when & where they are required. I have been on site currently for four days completing a number of assessments varying from Disability Access, Fire Safety & Health and Safety. Completing these assessments help me assist the company in implementing & improving policies, procedures and controls. Finally I would like to thank yourself for introducing me to this network group and I hope to gain further business from you.